Which of the following meets the Rome IV criteria for IBS-C? Brian E. Lacy, PhD, MD, FACG, is Professor of Medicine at the Geisel School of Medicine at Dartmouth in Hanover, New Hampshire. 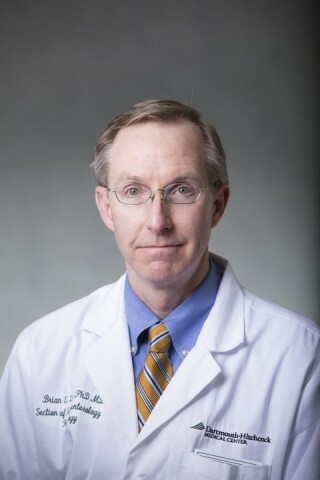 He is also Section Chief of the Division of Gastroenterology and Hepatology and Director of the GI Motility Laboratory at the Dartmouth-Hitchcock Medical Center in Lebanon, New Hampshire. Dr Lacy received his doctorate in cell biology from Georgetown University in Washington, DC, and his medical degree from the University of Maryland in Baltimore. Dr Lacy was a resident in internal medicine at the Dartmouth-Hitchcock Medical Center, where he continued his training as Chief Resident and then as a Fellow in gastroenterology. The faculty will discuss non-FDA-approved uses of fiber, stool softeners, laxatives, and selective serotonin reuptake inhibitors (SSRIs) for the management of IBS-C. Participants should appraise the information presented critically and are encouraged to consult appropriate resources for any product or device mentioned in this activity. This Enduring Material activity, Listen, Look, and Learn From Your Patients: Diagnosing and Treating IBS-C, has been reviewed and is acceptable for up to 0.50 Prescribed credit(s) by the American Academy of Family Physicians. Term of approval begins 09/01/2016. Term of approval is for one year from this date. Physicians should claim only the credit commensurate with the extent of their participation in the activity. 1. Drossman DA. 2012 David Sun lecture: helping your patient by helping yourself--how to improve the patient-physician relationship by optimizing communication skills. Am J Gastroenterol. 2013;108(4):521-528. 2. Lacy BE, Weiser K, Noddin L, et al. Irritable bowel syndrome: patients' attitudes, concerns and level of knowledge. Aliment Pharmacol Ther. 2007;25(11):1329-1341. 3. Mearin F, Lacy BE, Chang L, et al. Bowel Disorders. Gastroenterology. 2016. Epub ahead of print. 1. Drossman DA, Camilleri M, Mayer EA, Whitehead WE. AGA technical review on irritable bowel syndrome. Gastroenterology. 2002;123(6):2108-2131. 2. Drossman DA. 2012 David Sun lecture: helping your patient by helping yourself--how to improve the patient-physician relationship by optimizing communication skills. Am J Gastroenterol. 2013;108(4):521-528. 3. Halpert A, Dalton CB, Palsson O, et al. Irritable bowel syndrome patients' ideal expectations and recent experiences with healthcare providers: a national survey. Dig Dis Sci. 2010;55(2):375-383. 4. Dalton CB, Drossman DA, Hathaway JM, Bangdiwala SI. Perceptions of physicians and patients with organic and functional gastrointestinal diagnoses. Clin Gastroenterol Hepatol. 2004;2(2):121-126. 5. Dixon-Woods M, Critchley S. Medical and lay views of irritable bowel syndrome. Fam Pract. 2000;17(2):108-113. 6. Drossman DA. Do psychosocial factors define symptom severity and patient status in irritable bowel syndrome? Am J Med. 1999;107(5A):41S-50S. 8. Lovell RM, Ford AC. Global prevalence of and risk factors for irritable bowel syndrome: a meta-analysis. Clin Gastroenterol Hepatol. 2012;10(7):712-721.e4. 9. Hungin AP, Chang L, Locke GR, Dennis EH, Barghout V. Irritable bowel syndrome in the United States: prevalence, symptom patterns and impact. Aliment Pharmacol Ther. 2005;21(11):1365-1375. 10. American College of Gastroenterology Task Force on Irritable Bowel Syndrome, Brandt LJ, Chey WD, et al. An evidence-based position statement on the management of irritable bowel syndrome. Am J Gastroenterol. 2009;104(suppl 1):S1-S35. 11. Cash BD, Rubenstein JH, Young PE, et al. The prevalence of celiac disease among patients with nonconstipated irritable bowel syndrome is similar to controls. Gastroenterology. 2011;141(4):1187-1193. 12. Begtrup LM, Engsbro AL, Kjeldsen J, et al. A positive diagnostic strategy is noninferior to a strategy of exclusion for patients with irritable bowel syndrome. Clin Gastroenterol Hepatol. 2013;11(8):956-962.e1. 13. Pare P, Bridges R, Champion MC, et al. Recommendations on chronic constipation (including constipation associated with irritable bowel syndrome) treatment. Can J Gastroenterol. 2007;21(suppl B):3B-22B. 14. Mearin F, Lacy BE, Chang L, et al. Bowel Disorders. Gastroenterology. 2016. Epub ahead of print. 15. Mearin F. Irritable bowel syndrome (IBS) subtypes: nothing resembles less an IBS than another IBS. Rev Esp Enferm Dig. 2016;108(2):57-58. 16. Andrae DA, Patrick DL, Drossman DA, Covington PS. Evaluation of the Irritable Bowel Syndrome Quality of Life (IBS-QOL) questionnaire in diarrheal-predominant irritable bowel syndrome patients. Health Qual Life Outcomes. 2013;11:208. 17. Clarke G, Quigley EM, Cryan JF, Dinan TG. Irritable bowel syndrome: towards biomarker identification. Trends Mol Med. 2009;15(10):478-489. 18. Saad RJ, Chey WD. Recent developments in the therapy of irritable bowel syndrome. Expert Opin Investig Drugs. 2008;17(2):117-130. 19. Camilleri M. Evolving concepts of the pathogenesis of irritable bowel syndrome: to treat the brain or the gut? J Pediatr Gastroenterol Nutr. 2009;48(suppl 2):S46-S48. 20. Johanson JF, Kralstein J. Chronic constipation: a survey of the patient perspective. Aliment Pharmacol Ther. 2007;25(5):599-608. 21. Lacy BE, Weiser K, Noddin L, et al. Irritable bowel syndrome: patients' attitudes, concerns and level of knowledge. Aliment Pharmacol Ther. 2007;25(11):1329-1341. 22. Johannesson E, Simren M, Strid H, Bajor A, Sadik R. Physical activity improves symptoms in irritable bowel syndrome: a randomized controlled trial. Am J Gastroenterol. 2011;106(5):915-922. 23. Johannesson E, Ringstrom G, Abrahamsson H, Sadik R. Intervention to increase physical activity in irritable bowel syndrome shows long-term positive effects. World J Gastroenterol. 2015;21(2):600-608. 24. Moayyedi P, Quigley EM, Lacy BE, et al. The effect of fiber supplementation on irritable bowel syndrome: a systematic review and meta-analysis. Am J Gastroenterol. 2014;109(9):1367-1374. 25. Chapman RW, Stanghellini V, Geraint M, Halphen M. Randomized clinical trial: macrogol/PEG 3350 plus electrolytes for treatment of patients with constipation associated with irritable bowel syndrome. Am J Gastroenterol. 2013;108(9):1508-1515. 26. Ford AC, Moayyedi P, Lacy BE, et al. American College of Gastroenterology monograph on the management of irritable bowel syndrome and chronic idiopathic constipation. Am J Gastroenterol. 2014;109(suppl 1):S2-S26; quiz S27. 27. Drossman DA, Morris CB, Schneck S, et al. International survey of patients with IBS: symptom features and their severity, health status, treatments, and risk taking to achieve clinical benefit. J Clin Gastroenterol. 2009;43(6):541-550. 28. Johanson JF, Drossman DA, Panas R, Wahle A, Ueno R. Clinical trial: phase 2 study of lubiprostone for irritable bowel syndrome with constipation. Aliment Pharmacol Ther. 2008;27(8):685-696. 29. Drossman DA, Chey WD, Johanson JF, et al. Clinical trial: lubiprostone in patients with constipation-associated irritable bowel syndrome--results of two randomized, placebo-controlled studies. Aliment Pharmacol Ther. 2009;29(3):329-341. 30. Chey WD, Lembo AJ, Lavins BJ, et al. Linaclotide for irritable bowel syndrome with constipation: a 26-week, randomized, double-blind, placebo-controlled trial to evaluate efficacy and safety. Am J Gastroenterol. 2012;107(11):1702-1712. 31. Rao S, Lembo AJ, Shiff SJ, et al. A 12-week, randomized, controlled trial with a 4-week randomized withdrawal period to evaluate the efficacy and safety of linaclotide in irritable bowel syndrome with constipation. Am J Gastroenterol. 2012;107(11):1714-1724; quiz 1725. 32. Ford AC, Quigley EM, Lacy BE, et al. Effect of antidepressants and psychological therapies, including hypnotherapy, in irritable bowel syndrome: systematic review and meta-analysis. Am J Gastroenterol. 2014;109(9):1350-1365; quiz 1366.